High strength, flexible, polyurethane adhesive / sealant, mutlipurpose, automotive sealants for use in and around vehicles, industrial sealants with food grade certificates, acrylic sealants, premium, multipurpose interior gap sealants, primers, cleaners, tapes, marine and construction adhesive and sealants. 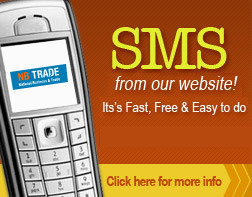 Email or SMS straight from our adhesive and sealant directory. Nbtrade.com.au tries to make things simpler for you to easily compare and discuss your choices.